Remembering the first soldier in 1918 from our village to be killed on the opening day of the German offensive. Intended to defeat the Allies before the Americans joined the war, it caused enormous casualties. George was a gunner in the Royal Field Artillery on the front line. He has no grave but is remembered at the Arras Memorial. 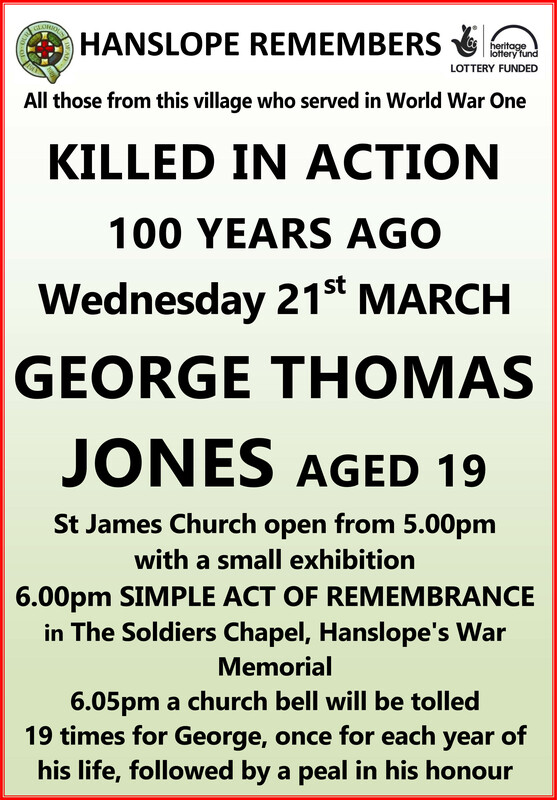 This entry was posted in Advert, Hanslope, World War One Commemoration Committee. Bookmark the permalink.